Unlock Codes SENSEIT A109 (Beeline). Unlock code is completely safe and is provided by the manufacturer. ATTENTION! Code reception time from 5 minutes to 6 hours. At night and on weekends there may be delays. 1. To get the unlock code you are required to let us know your device´s IMEI-number. Phone IMEI can be found on a label under the battery or by typing on the phone a combination: * # 06 #. 2. The payment of the goods after payment of the commission appeared to carefully enter IMEI form. 3. When sending data you entered - after a while you get a code. 4. Insert a SIM card of another operator and enter the unlock code. 5. If you entered the code correctly, SENSEIT A109 (Beeline) and restarts when the operator registers in the network, SIM card that you have installed. 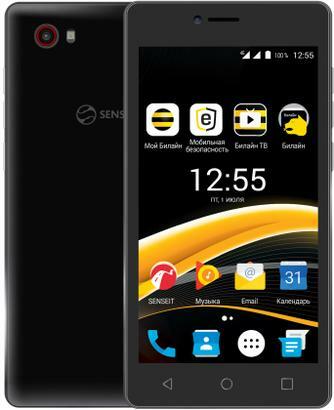 Before making a purchase, it is strongly recommended to check whether the requested SENSEIT A109 (Beeline) unlock code when it is installed SIM card of another operator. By making a purchase you agree that the model of your phone SENSEIT A109 (Beeline) and modem, as well as attempts to enter the code are not all spent. <Delivery> If you have any problems please contact us by e-mail (E-mail), Skype or ICQ.